As promised we’re back with another episode of our Conversion Series and this time it’s going to be more technical than usual because I’m going to teach you everything you need to know about how to convert an FLV file to an MP4 with FFmpeg. Introduced in 2002, the .flv container was the first ubiquitous file format for video over the Internet. each with their own quirks and flaky cross platform support. Thus, when Macromedia introduced .flv videos in 2002, it quickly and surely took off as the default video format for the web which is why all the video content was stored in .flv files. Fast forward 13 years later the landscape has changed dramatically with mobile devices being the preferred way to access the Internet, HTML5 replacing Flash for most video delivery scenarios and MP4 replacing the FLV container as the de facto standard for video. This landscape presents a challenge: the .flv files only play in Flash based video players and will not work natively on mobile devices or in newer browsers (without Flash). Luckily there’s a (simple and free) solution. In this article we’re going to explain in detail how to use the free and open source FFmpeg software to convert your old flv files to mp4 files that will work on any device and browser. Although specific to the flv to mp4 conversion, the information in this article can be used to convert to and from all types of video files including webm, avi and wmv. 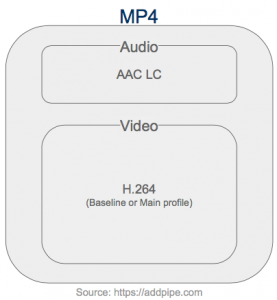 For that to happen we need to ensure the .mp4 file contains AAC-LC sound and H.264 video. On top of that, to ensure our video can be played on older devices like the iPhone 3GS, we’ll show you how to use H.264’s baseline profile and level 3 but more on that later. Depending on the audio/video data types in a .flv file, in our mission to convert the .flv to .mp4, we might get away with transcoding just the sound part. More on that below. FFmpeg includes a default AAC encoding library (experimental, part of libavcodec) but it also supports 3 other AAC encoding libraries including the Fraunhofer FDK AAC library (libfdk_aac) which was originally developed for Android and it’s currently the highest-quality AAC encoder available with FFmpeg. Details on how to use each one individually are available in this AAC Encoding Guide. Video LAN’s libx264 is the default H.264 video encoding library and a very good one too. 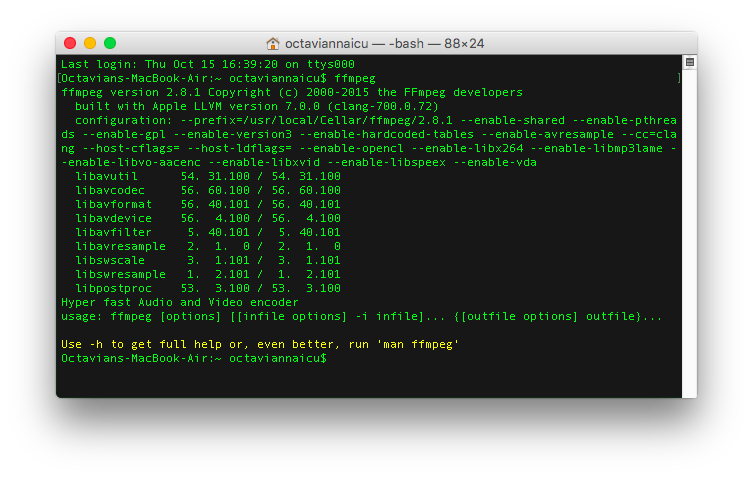 I haven’t seen a FFmpeg build that doesn’t include it so you should have no problems using it. 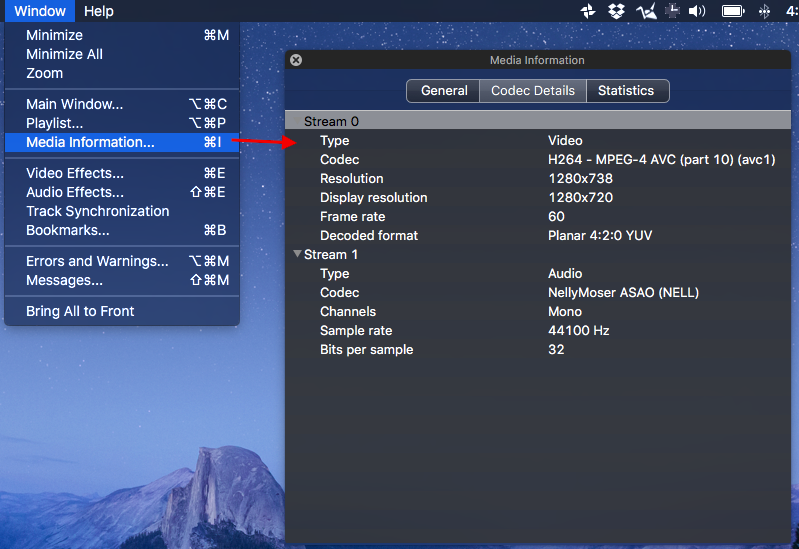 Some .flv files contain H.264 video and Speex, Nellymoser Asao or mp3 audio. With such files there’s no point in re-encoding the video data since it’s already in the format we need it: H.264. If you reencode something that’s already been encoded/compressed you will loose even more data and it also takes a lot longer. If you’re particular about the audio data you can use -ar to specify the audio sample rate (kHz) and -ac to specify the number of channels (1 for mono, 2 for stereo). For reference typical CD audio is sampled at 44.1 kHz (or 44100 samples/second). In those cases where the video data in the .flv is not encoded using H.264 you’ll have to transcode both audio and video. This is a lengthy and CPU intensive process since it involves transcoding all the data in the .flv file. The range is exponential, so increasing the CRF value +6 is roughly half the bitrate while -6 is roughly twice the bitrate. More details at FFmpeg and H.264 Encoding Guide. Older builds of FFmpeg suppored a flag named -sameq that has been confused in many tutorials with “same quality”. Unfortunately -sameq does not mean same quality thus, to avoid the confusion, it has been removed in recent versions of FFmpeg. The -sameq option meant “same quantizer”, and made sense only in a very limited set of cases. Unfortunately, a lot of people mistook it for “same quality” and used it in places where it did not make sense: it had roughly the expected visible effect, but achieved it in a very inefficient way. More info on -sameq and how video compression works in this awesome answer on superuser.com. All mp4 files contain a moov atom (flvs do not). The moov atom contains information about the length of the video and the audio and video tracks available in the .mp4 container. It acts as an index of the video data and the information in it enables the video player to play and scrub the .mp4 file. An mp4 video will not play until the player can access this index. If it’s at the end of an .mp4 file delivered over the Internet the browser needs to download the entire file before playback can start. Thus the moov atom in mp4 files should be placed at the beginning. H.264 encoders (including FFmpeg) support something called encoding profiles: Baseline, Main, High, High 10, Extended, etc. .
Each profile contains increasingly advanced encoding techniques which allow for better compression & quality but in turn, require more CPU power during encoding (on the encoder side) and decoding (on the player side). A device capable of playing a certain level can also play all the levels below. For more info on profiles and levels check out article 1 & article 2. 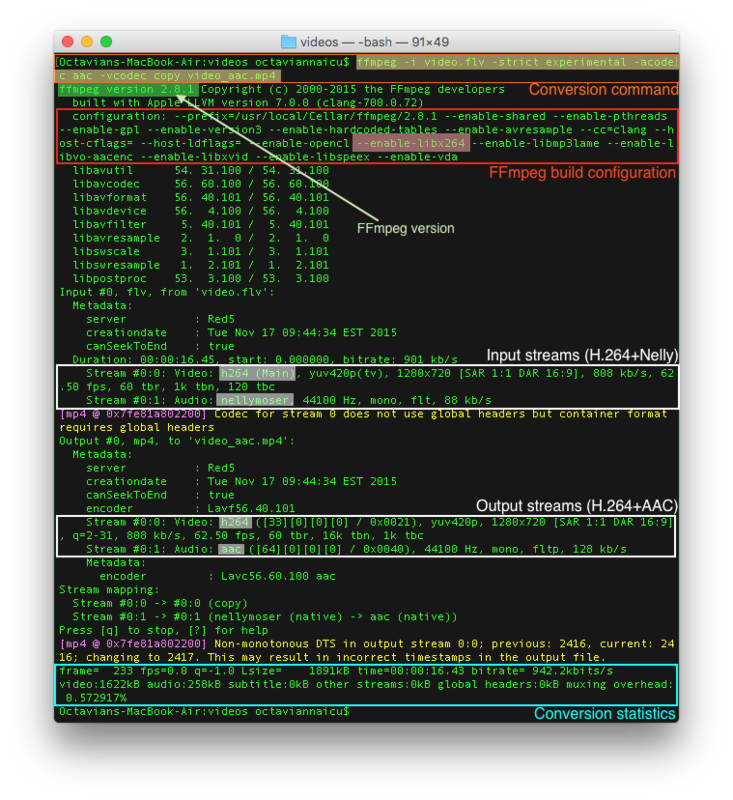 The Android documentation recommends the Baseline Profile in Video Encoding Recommendations (android.com). However it doesn’t mention any levels. Because of the wide variety of Android devices, Google cannot guarantee that a particular level will work across all those devices. In fact, if you look at the Video Encoding Recommendations they can’t even guarantee 2 Mbps HD 720p @ 30 fps (level 3.1). It’s marked N/A on all devices. This doesn’t imply there are no Android devices that can play levels 3.2+ and even Main, High profiles etc. But if you need wide availability you need to target the lowest common denominator. The baseline profile disables some advanced features in main and high profiles but provides for better compatibility. Typically you may not need this setting (and therefore avoid using -profile:v and -level), but if you do use this setting it may increase the bit rate quite a bit compared to what is needed to achieve the same quality in higher profiles. Level and video data is copied together with the H.264 video data when you copy the video data from flv to mp4 without transcoding. That’s it for today guys, stay tuned for the next episode of our conversion series. If you missed the previous ones, you can check out all our conversion tutorials here.